Preview 2/08 - 2/21 from 8am - 4pm BY APPOINTMENT with contact. We are CLOSED 2/18. Removal 2/28 - 3/20, 2019 Mon-Fri from 8am - 4pm BY APPOINTMENT with contact. This item has been viewed 1634 times. The sale by auction of all equipment through a live or internet auction under this contract shall be on an “AS IS, WHERE IS” basis. 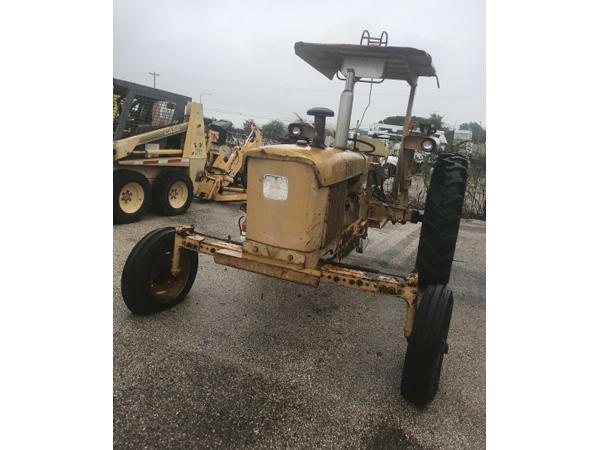 Neither contractor, TFC, TxDOT nor the State of Texas shall be responsible for any representations or statements concerning any equipment, its prior use, condition, suitability for intended purpose, or suitability for which it is customarily devoted. In addition, any Aerial Devices (Bucket Trucks/Cranes) not specifically noted as having been inspected or certified have not been and no representations or warranties are made concerning compliance with any safety standards or requirements. All titles will be issued in the buyers name EXACTLY as the name appears on the winning bidder’s online Lone Star account, and paid receipt, at the time of auction close. If a company name is provided on the buyer’s receipt, title will be issued in the name of the company. Prior to bidding please contact Lone Star Auctioneers to verify account information. Updating your online account information AFTER bidding will not update your title paperwork information. All title paperwork will be mailed to the shipping address listed on the paid receipt. Changes to title paperwork WILL NOT be allowed. TXDOT, not the Texas Facilities Commission, will complete and mail all title paperwork directly to the buyer. Title mailing changes must be approved by TXDOT. 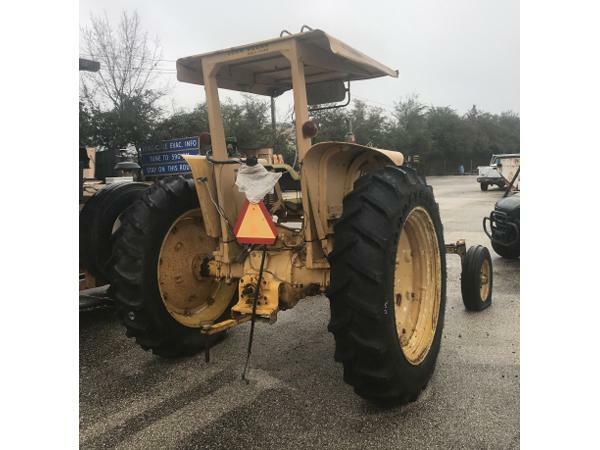 An official request MUST be sent from the email address listed on file with Lone Star Auctioneers and must be emailed to the auction lot POC(point of contact). 2/28 - 3/20, 2019 Mon-Fri from 8am - 4pm BY APPOINTMENT with contact. Please use the contact information in the listing for questions involving removal. All items MUST be removed by the last day and time authorized within the auction listing, no exceptions. Items awarded and purchased may not be sold or auctioned by a winning bidder on State of Texas Property. REMOVAL IS THE WINNING BIDDER'S RESPONSIBILITY. NO ASSISTANCE, SHIPPING, or PACKING SERVICES will be available from the seller for the removal or transportation of items won. If the items purchased are not removed by the deadline advertised, the buyer will forfeit all monies paid and property ownership reverts to the State of Texas with no recourse. If someone other than the winning bidder needs to pick up the items won, an email MUST be sent from the email address listed on file with Lone Star Auctioneers and should be emailed to auction lot POC prior to removal. The email MUST include the name of the seller listed on the paid receipt, location, lot number, and the first and last name of the person who will be picking up. This email will serve as the buyers official release authorization and the person picking up will be required to present a valid GOVERNMENT ISSUED picture identification card before anything can be removed. All titles will be issued in the buyers name EXACTLY as the name appears on the winning bidder’s online Lone Star account, and paid receipt, at the time of auction close. If a company name is provided on the buyer’s receipt, title will be issued in the name of the company. Prior to bidding please contact Lone Star Auctioneers to verify account information. Updating your online account information AFTER bidding will not update your title paperwork information. All title paperwork will be mailed to the shipping address listed on the paid receipt. Changes to title paperwork WILL NOT be allowed. TXDOT, not the Texas Facilities Commission, will complete and mail all title paperwork directly to the buyer. Title mailing changes must be approved by TXDOT. An official request MUST be sent from the email address listed on file with Lone Star Auctioneers and must be emailed to the auction lot POC. If you have questions regarding an auction pick-up, vehicle title or release authorization please be sure to contact the listed auction lot POC. This information can be found online on the first page of the auction lot listing or by using the email address/hyperlink provided at the top of the paid receipt under “Item Removal”. Please Note: Hyperlink access is only available by using a computer or mobile device. Some mobile devices may have trouble viewing this information using the hyperlink.